The former chair of New Zealand's largest dairy co-op has passed away. 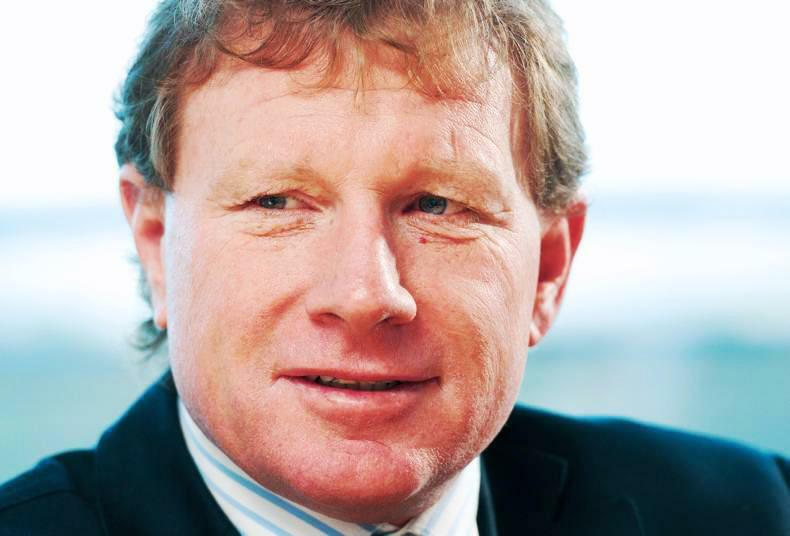 One of the world's most prominent dairy farmers, New Zealander John Wilson, died this Monday aged 54. He was chair of Fonterra, the largest global dairy exporter, from 2012 until his resignation over poor health last July. From his farm in the Waikato region and a second dairy business he co-owned in South Canterbury, Wilson represented farmers at various levels in Fonterra, including during its foundation through the amalgamation of several co-ops in 2001. As chair, he oversaw expansion and international joint venture developments, followed by the crisis of the 2015-2016 global milk price crash. Until his death, he was listed as chair of Fonterra's governance development committee, which has been working on farm succession. In a message to members, his successor as Fonterra chair John Monaghan said that Wilson was survived by his wife Belinda and four daughters. "He always looked ahead and focused on finding a way through tough times that would protect Fonterra's farmers, share-milkers and their families," Monaghan said. "Bringing farmers solutions, not problems, was always his mindset." African swine fever continues to hit Chinese pig farms and domestic production is in freefall, local authorities have warned. Chinese pork imports and prices are forecast to rise by 40% this year, according to official sources in the country. The new China Agricultural Outlook (2019-28) published by the Ministry of Agriculture and Rural Affairs forecasts that pork imports will reach 1.7m tonnes this year and increase again to 2.1m tonnes next year, according to China Daily. Prices will continue to rise for the next two years, fastest in the second half of this year, the forecast adds. Increased supply is expected to come mostly from the EU, North America and Brazil. 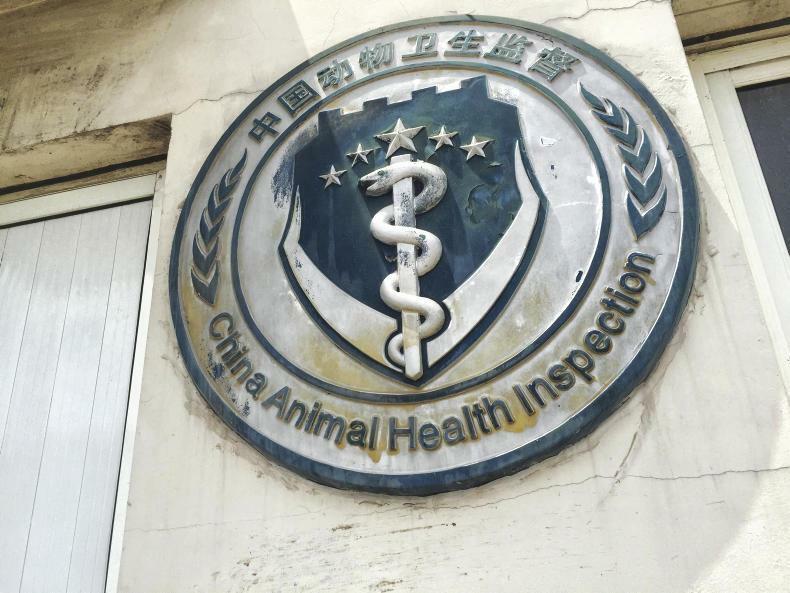 Increased demand for imported pork results from over 120 reported African swine fever outbreaks on Chinese pig farms, which have to over 1m pigs being culled, according to official reports. However, sources quoted by the Hong Kong-based South China Morning Post, say actual figures could be higher. The Chinese authorities expect domestic pork production to fall by 6.7% in 2019 to just over 50m tonnes this year, before reducing again to 46m tonnes in 2020. However, Rabobank has forecast Chinese output to drop by 35% to 38m tonnes this year alone. "Despite the progress made in containment, China still faces difficult challenges in eliminating the disease," China Daily reported, quoting a Ministry of Agriculture source. The deal to sell the farm is worth in the region of €38m. 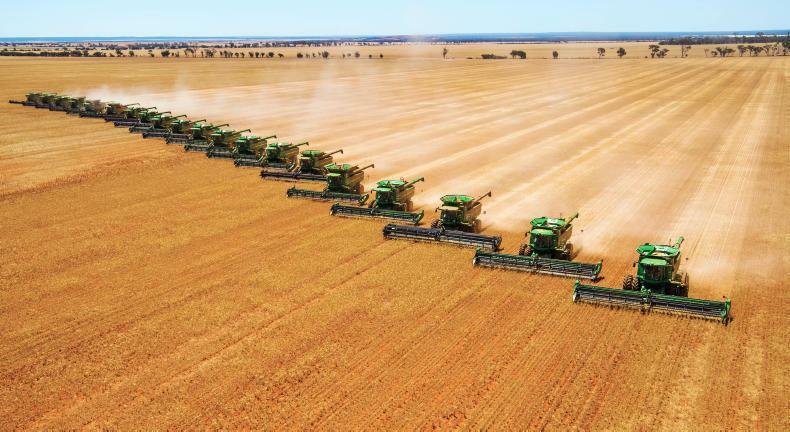 The 200,000ha farm is one of Australia's largest grain farms. \ Alice Mabin. A 200,000ha farm in Western Australia’s wheatbelt has been snapped up by the Saudi Agricultural and Livestock Investment Company (SALIC). The farm, which was owned by grain farmer John Nicoletti, is understood to have been sold in a deal worth €38.1m. Along with the 200,000ha, the deal also includes a 40,000-head Merino sheep flock. The acquisition of the farm, which is held under the Baladjie Pty Ltd name, received clearance from Australia’s Foreign Investment Review Board (FIRB). Included in the deal are the farm's four-grain elevators, two processing plants, a potato storage facility, equipment, and land-lease agreements. Commenting on the deal, SALIC Kingdom of Saudi Arabia CEO Matthew Jansen said: “The acquisition of Baladjie is an important step for SALIC as we continue to build our global footprint in a meaningful way. SALIC’s head of production agriculture investments William England said that the local team will build on the legacy of John Nicoletti, with plans to manage the livestock and grain production enterprise for the long term with a focus on sustainability, profitability, environmental responsibility and support for the local rural community. SALIC aims to be a world-class food security-focused agribusiness investment company, making sizeable, meaningful and scalable investments while ensuring a balanced risk optimised portfolio. A joint statement from Australian attorney general Christian Porter and Australian minister for agriculture David Littleproud this week said that the government would introduce a new offence designed specifically to protect farmers and primary producers from the unlawful actions of animal activists. Porter said: "We have seen with Aussie farms the malicious use of personal information, including farmers' names, addresses and workplaces, designed specifically to encourage others to trespass on properties and damage businesses. "Penalties of up to 12 months imprisonment will apply to individuals who use a carriage service, such as the internet, to disclose personal information with the intention that another person would use that information to trespass on agricultural land. The law would also apply to other primary producers such as abattoirs,” he said. He also said the new laws would include appropriate exemptions for bona-fide journalists and for situations where the information being released shows a law being broken, such as whistleblowing on animal cruelty. Minister for agriculture David Littleproud said farming families deserved protection. "I've been fighting this Aussie Farms attack map for activists for months and this is a great day," he said. "If you use the personal information of our family farmers to incite trespass then you deserve to go to jail. Farming families grow our food and there are children on these farms. 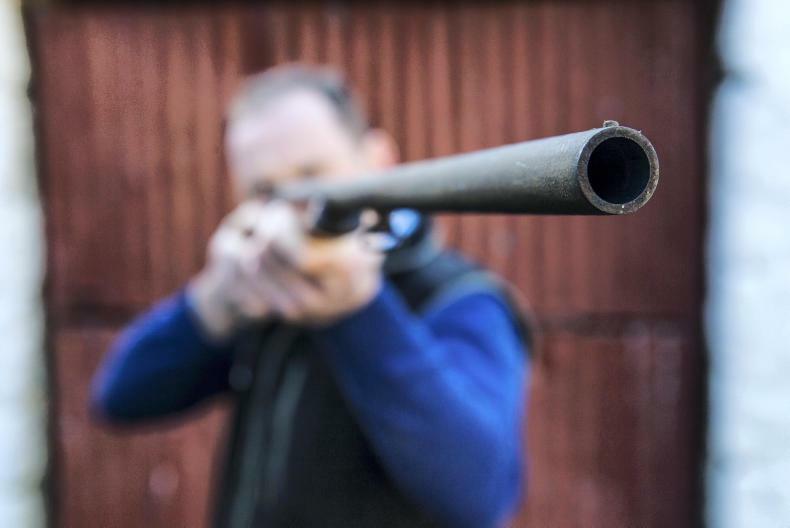 "Now states must beef up farm trespass laws. If 100 of my mates stormed a house in Sydney we'd expect to be locked up and farmers deserve the same protection. "The Morrison Government will always protect farmers, whilst ensuring that those who do mistreat their animals face appropriate action."